Hoppy Bar Stars return to The Snug Bar tonight, Thursday January 22 - they’ve gained a reputation for creating a great pub atmosphere which will have everyone joining in with the craic. Then on Friday January 23 Jig Jam are welcomed back to play at The Snug Bar after launching their debut album Oh Boy which has been getting great reviews nationally. With exhilarating melodies on the five string banjo combined with the driving rhythm of guitar and double bass, they produce a fantastic blend of modern, Irish and folk music with a special bluegrass twist. This Tullamore band really aims to please and create brilliant lively atmosphere not to be missed. A great night is guaranteed. Rofi James kick off your Saturday night - this energetic rhythm band from Galway are sure to get you in the mood. 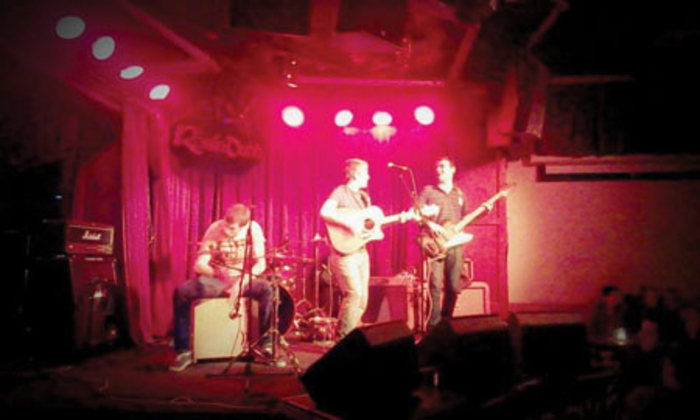 Since their formation in the summer of 2012 they have been making a name for themselves in the west of Ireland and in 2013 took first prize in iRadio’s iRocks Battle of the Bands ahead of some 600 other entrants. Their self-titled debut EP was recorded in Grouse Lodge Recording Studios and was released in April 2014. Their influences are the Imagine Dragons, The Coronas, Foo Fighters, Walking on Cars, The Beatles, Lawson, Maroon 5, U2, and One Republic. DJ Jamie will also be setting the mood in the beer garden. Finish off you weekend in style with solo artist Gavin G this Sunday January 25 at 7pm, followed by Macey South. Macey South are an incredibly unique band and original songs from their new album such as ‘Casey’ and ‘The Wiseman’ have become extremely popular. Macey South always gives a hugely entertaining and energetic performance. Not to be missed at The Snug Bar this Sunday.